Audio Technica ATH-DSR9BT First Impressions and Unboxing. The ATH-DSR9BT are over-ear wireless headphones that feature a lot of crazy bluetooth technology to deliver 24bit hi resolution sound. Plus they connect via USB for a true digital connection. No headphone jack required! Actually there isn’t a headphone jack. These are true digital headphones through and through. So as an example with my Mac or PC they connect via a USB cable with a huge frequency range as shown below. With my LG G6 they can also connect via the USB connection or via Bluetooth APT-X HD (24bit/96) Hi Resolution bluetooth. – The ATH-DSR9BT feature an exclusive “Pure Digital Drive” system keeps audio signal completely digital from source to driver for exceptionally pure sound. This is a first. – Dnote chipset controls driver amplitude directly with digital signals – no D/A converter required. As you can see from the key features and specifications noted above, these ATH-DSR9BT are certainly something special and I can’t wait to spend more time with these and share my findings both negative and positive. And there are both. Gavin, eBay prices for the LG V20 are low so I ordered one. Will need to see what I do about aptx HD compatible headphones. 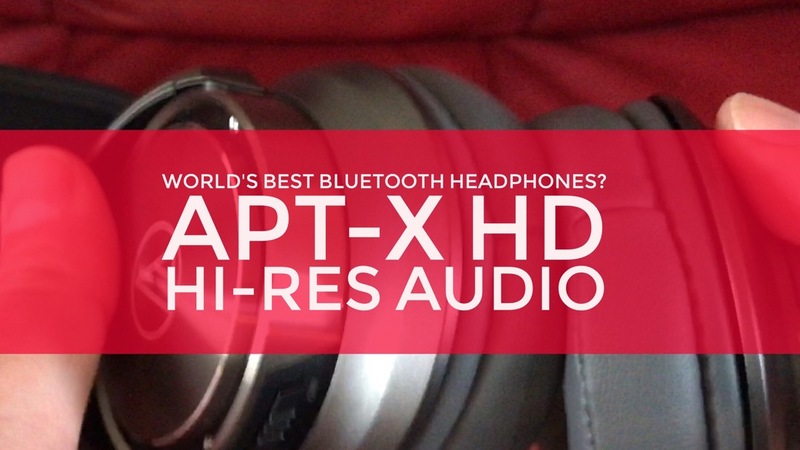 There aren’t many aptx Hd headphones. These are superb quality so far. Used them most of this weekend. V20 is a fine phone. Gavin, the V20 is staggeringly good with high res music and wired headphones. The best quality playback I’ve ever heard. Yep. Similar to the G6 Quad DAC but marginally better. Jah I meant to ask what headphones are you using with it ? Gavin using ones you recommend in 2009 to me! The Ultimate Ear Triple Fi.